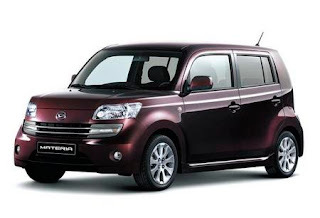 Even if you meet Daihatsu Materia in ordinary traffic rather seldom, the „ICECUBE“ by Inden-Design already has deep roots in the company. 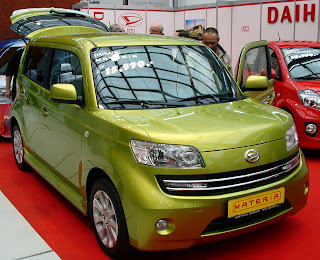 If someone is playing with the idea to frequently be truly cool with the delivery of car on the road and the same time to keep with elegance a good figure, he should in this case consider Daihatsu Materia from Haiger more carefully. The Inden-Design Tuner has modified the new „ICECUBE“ cars both from the optical and from the technical point of view at the same time. This resulted in the creation of the rough look. 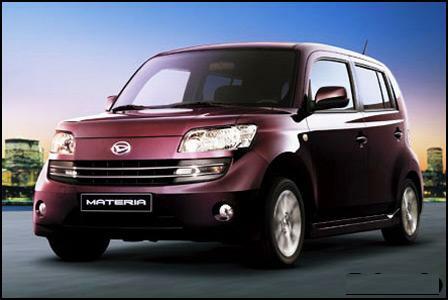 The ICECUBE Materia creates a convincing outfit by innovative design and exemplary functionality at a car tuning level. With its VIP painting in white/mat (5,500 Euro), the Daihatsu Materia gives once again a clearly improved performance and very individual optics. 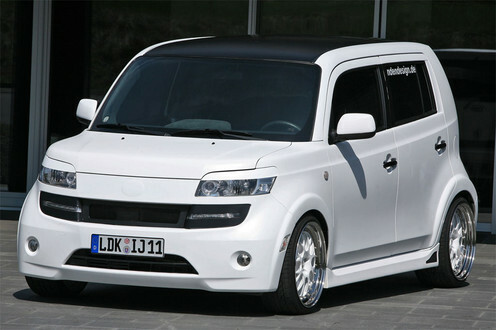 But ICECUBE reaches its dynamical and powerful design due to the body kit. The whole kit consists of an extension set (four extensions (of 10 parts) for 448,00 Euro without mounting and putting at the vehicle), a rear bumper with diffuser (448 Euro) and the standard front bumper fascia equipped with day-drive-lights (230 Euro) in the front turn signal housing. Further identification features are triangular mirrors outside, door handles and a boot lid cover of real carbon (1,200 Euro for the set). For extra broad wheel distance, special, extra light and home-made wheels have been mounted. In this case Inden Champion LM light metal wheel disks of the 8,5×18 inch size with 215/35 R18 inch in front and 225/35 R18 9,5×18 inch rear tires are holding contact with the road surface. You can exclusively purchase the 3-part wheel assembly equipped with high-grade steel outer frames at Inden-Design for 5,800 Euro. 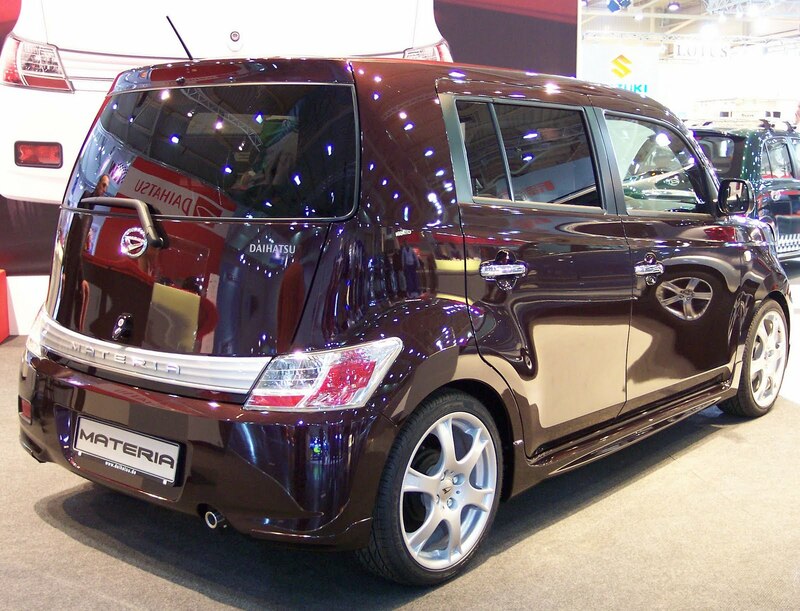 In addition, the rear end has been equipped with high-grade steel exhaust system and a catalyst converter with two polished end pipes for 1,198 Euro, which produce the corresponding sound for the optics. The car handling of the „ICECUBE“ becomes with H&R-sport helical differential gear (780 Euro) even more sporty. Due to the sport differential gear, maximum traction at all road conditions and therefore, of course, an optimal behavior on the road will also be reached. But something has been positively changed from within as well. Many options in the interior like triangular mirrors, the central console, the door switch covering, the entrances and the B-column with real carbon in silver (1,450 Euro) are just some of a lot of features, making the life in the ICECUBE sportier. In addition, the speedometer shaft, the A-column and the door armrest have been trimmed with alcantara (680 Euro). There is also a high-quality loudspeaker system (1,200 Euro) with high frequency loudspeaker on front and rear doors – finally, a Phillips DVD-monitor incl. navigation system (1,298 Euro) demonstrates that this baby knows what’s what. The sporty pretensions are connected here with individuality, without discarding ordinariness at the same time.